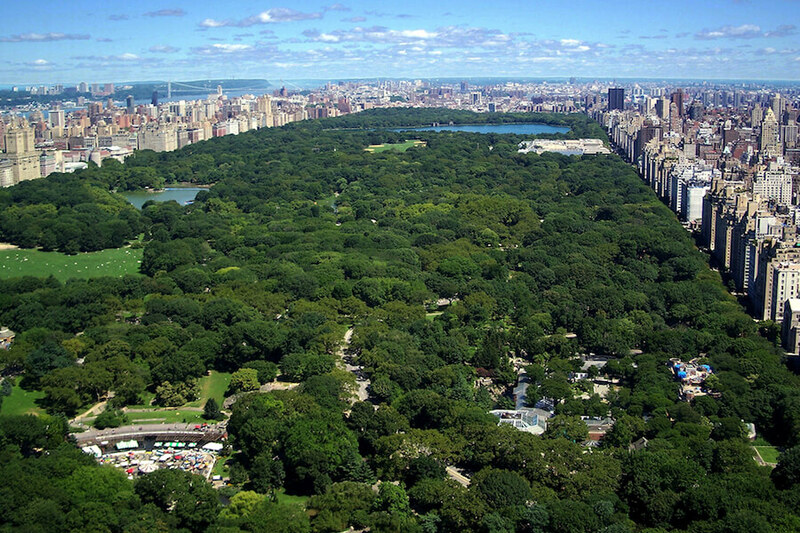 Explore New York’s backyard known as Central Park. Compromising 843 acres of land between the Upper West Side and Upper East Side, Central Park boasts plenty of things to do. You’ll find a ton of beautiful landscaping to enjoy, including the Conservatory Garden and Shakespeare Garden. Take a guided tour through the park and see the sites, visit the Central Park Zoo or just sit back and relax with a picnic! One of the best ways to explore this vast island mega-city, take a bite out of the Big Apple on this flexible hop-on hop-off tour and make the most of your time in NYC! Choose which tour works best for your schedule - 3 loops around Manhattan, with add-ons and fun ways to navigate the city's most popular sites. Hop on board and experience the vibes, the sounds, the sights of this vibrant, bustling city. There are entertaining and experienced guides on all buses, so relax and enjoy the journey! The best way to explore Lower Manhattan including popular neighborhoods like the Flatiron District, Union Square, Little Italy, Chinatown, Soho & NoHo, Greenwich Village, the East Village, Chelsea and the Financial District. Wander around infamous Wall Street, eat your way through Little Italy and Chinatown then shop till you drop at the unique boutiques SoHo is famous for! The Brooklyn Bridge, access to the Brooklyn Loop and a sightseeing cruise are all part of the Downtown Loop. Full loop duration is approximately 90 minutes. Thia loop takes you from Midtown, around the urban oasis known as Central Park and through cultural Harlem. Home to some of New York’s most popular Museums, the Upper East & West Sides are a great place to hop off and explore some world-class museums like the American Museum of Natural History, the Museum of the City of New York, the Guggenheim and the Metropolitan Museum of Art. Hop-on hop-off at your leisure! Full loop duration is approximately 90 minutes. The Midtown Loop connects East to West where you can discover Hell’s Kitchen, the United Nations, Grand Central Terminal and the Hudson River at Pier 84. See famous Fifth Avenue gleaming with all its decadent shops. Hop off and tour historic Rockefeller Center home to NBC’s Today Show. Full loop duration is approximately 90 minutes. Experience the sights at night on this 2-hour panoramic tour – it's a completely different perspective - the iconic buildings and bridges lit up against the night sky. You'll board the bus in vibrant Times Square before heading south towards 42nd Street. This tour passes some of the best spots in the city for Manhattan skyline views, so be sure to take some photos and find out why it's called "The City That Never Sleeps!" 1 Day Downtown Loop, 1 Day Uptown Loop and 1 Day Midtown Loop. You can redeem your voucher at any of the bus stops. Please bring photo ID and e-ticket/voucher. The Red Route Stop #1 is located at Times Square East 42nd/Broadway. The Blue Route Stop #19 is located at 46th/Broadway. The Yellow Route Stop #41 is locate at M&Ms World 7th/48th Streets. The Big Bus Welcome Center is located at 712 7th Ave, NY, NY 10036 (near stop #18, between 47th & 48th Streets), open daily from 8am - 6pm. Buses typically run from 8am - 6pm but may vary by season. Night Tour runs from 7pm - 9pm. Classic Ticket expires 14 days from service date. Deluxe Ticket is only valid for the day booked and expires upon redemption. Night Tour expires 14 days from service date. Premium Ticket is only valid for the day booked and expires upon redemption. One of the world’s preeminent scientific and cultural institutions (but don’t let that scare you!). The American Museum of Natural History is renowned for its exhibitions and scientific collections, which serve as a guide to the entire planet and present a panorama of the world's diverse cultures, visitors of all ages will be enchanted by what they find inside these historic walls. From dinosaur fossils to meteorites. To forests, birds and mammals. There is something for the whole family to see! Stop by the Discovery Room, where you can find different species of insects, reptiles and small mammals at the two story replica of an African baobab tree. Learn about different cultures from Brooklyn to Bombay while examining different artifacts from around the world. Visit the Mammal Halls to explore the very realistic depictions of different mammals and their habitats. At the Rose Center for Earth and Space explore the different cosmos, galaxies and learn about the 13 billion-year history of the universe. To make the most of your visit, we recommend the “Super Saver” ticket which includes General Admission and access to all the special exhibitions. At the Butterfly Sanctuary you will mingle with more than 500 live, free-flying tropical butterflies in an enclosed habitat. Explore “Cuba!” and the extraordinary biodiversity across the island’s remote forests, deep caves, expansive wetlands, and dazzling reefs through immersive exhibits. The Space Show: discover the Dark Universe in the Hayden Planetarium, celebrate the pivotal discoveries that have led us to greater knowledge of the structure and history of the universe and our place in it. And of course, the latest must-see exhibit at the Museum: The largest dinosaur ever discovered, a cast of a 70-ton, 122-foot long Titanosaur. Whichever option you choose, you're sure to have an unforgettable day! Plan your museum visit ahead of time with the American Museum of Natural History Museum Guide. Museum is located at 79th Street & Central Park West, New York, NY 10024. Ticket is only valid on service date. Expires upon redemption. Along side your knowledgeable local guide, you'll explore some of the Central Park’s 47 miles of bike friendly paths as you see all the main attractions, including the Bethseda Fountain, Strawberry Fields, the Dakota and the Jackie Kennedy Onassis Reservoir. You'll also pass by some lesser known sights but totally cool sights like Cleopatra's Needle, Sheep Meadow, the Shakespeare Garden, the Swedish Marionette Theater, Bethesda Fountain, the Reservoir and much more! Then travel on the Greenway and enjoy spectacular views of the Hudson River and New York City's iconic skyline as you bike on the traffic-free Greenway North. Your friendly local guide will tell you all about Central Park and the famous residents living along Central Park West and 5th Ave. Please contact the provider at least 48 hours prior to tour time to confirm. Contact information will be on your e-ticket.